Successful Business Opportunities Available Now! With Jungle Patrol it is easy and safe to start your own business. We provide everything you need to become successful and with our broad experience, we can advise and support you all the way from start-up to when it's time to expand your growing business. 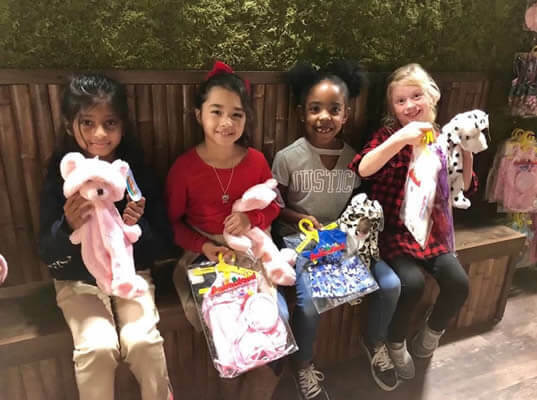 We specialize in fundraising events, birthday parties, and so much more. Whether you are looking for full time or part time, Jungle Patrol can add so much fun and excitement to your business. 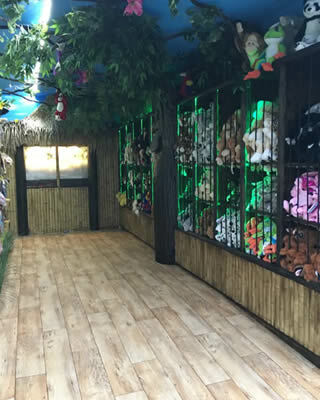 'Stuff Your Own Animal' experiences and mobile trailer businesses have never been more popular than today and we see a big increase in demand for our products. Did you know for example that all of our Jungle Patrol Trailers and stuffing machines are built in-house and in the USA? We're looking for outgoing individuals with good social skills that can easily build relationships. You must be able to lead the team as the business is growing. It’s a plus if this person has done any previous work with schools, maybe as a principal or similar or they might already be a vendor to schools, with the crucial contacts and relationships already in place. You must love working with children, have a minimum of $100k in liquid capital, and be ready to make a difference in your community. Are you ready to combine having fun and earning money at the same time? Fill Out The Form To Start Your Own Profitable Business Today! Please call Kalli Quicke directly at (940) 222-8001. 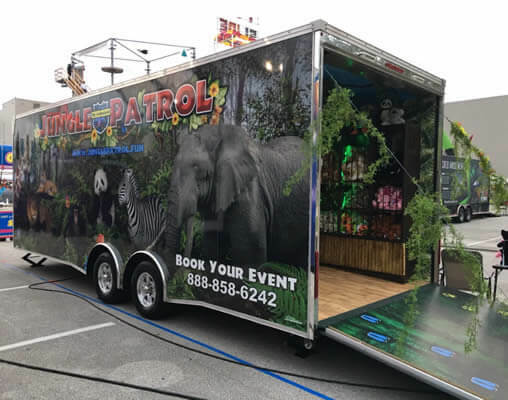 Jungle Patrol is currently accepting inquiries from the following states: Alabama, Alaska, Arizona, Arkansas, California, Colorado, Connecticut, Delaware, Florida, Georgia, Hawaii, Idaho, Illinois, Indiana, Iowa, Kansas, Kentucky, Louisiana, Maine, Maryland, Massachusetts, Michigan, Minnesota, Mississippi, Missouri, Montana, Nebraska, Nevada, New Hampshire, New Jersey, New Mexico, New York, North Carolina, North Dakota, Ohio, Oklahoma, Oregon, Pennsylvania, Rhode Island, South Carolina, South Dakota, Tennessee, Texas, Utah, Vermont, Virginia, Washington, Washington, D.C., West Virginia, Wisconsin, Wyoming.